El Premio José M. Amézaga se estableció en 1993, para distinguir anualmente a un ingeniero que se destaque por su dedicación y apoyo a la Asociación en la promoción de la profesión de Ingenieria y en ayudar a los colegas ingenieros en lo que sea posible. Con esto se honra la memoria del Ing. José M. Amézaga, quien fuera un ingeniero electricista cubano, destacado tanto en Cuba como en el exilio por su gran calidad humana y profesional. Fue miembro fundador del Colegio de Ingenieros Electricistas de Cuba en el Exilio y fue participe en la creación de la Asociación de Ingenieros Cubanos, para que se pudieran incorporar ingenieros de otras denominaciones, que debido a su pequeño número, carecian de agrupación propia. Roxanne Ramos Rodriguez is being recognized for this award due to her unselfish dedication and devotion to the Association of Cuban American Engineers (ACAE) and leading the effort to organize the annual celebration of the Engineer’s Day Gala bringing together nearly 600 professionals. She has served on the ACAE Gala Committee since 2013 and serves as Chairperson of the committee. In addition, her service to the organization began as a student member where she reestablished the ACAE Student chapter at the University of Miami and served as President for two semesters. 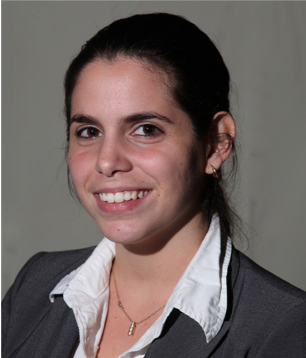 Roxanne is a Cuban- American Industrial Engineer, who graduated from the University of Miami in 2013 and immediately became a Director of the ACAE Professional Chapter. Ms. Ramos is currently the Process Improvement Manager at AAR Aircraft Services, Miami since 2013, where she also oversees Duluth, MN. Roxanne currently holds a Lean green belt certificate and is a key player in the Lean transformation by promoting the AAR Lean Green Belt Program and encouraging process improvements as part of the daily work to continue to be competitive in all aspects of the business. Roxanne is currently working on completing her Master’s in Business Administration at Florida International University. Roxanne has been serving the community recognizing the need for professionals to give back and mentor others. She is a well-regarded volunteer at SAFEE and KAPOW. These organizations expose students to Engineering and Aviation. She was named KAPOW Volunteer of the Year in 2016. Her Industrial Engineering skills have led her to become a valuable asset, not only to her employer, but to the entire community. Roxanne was also recognized by the ACAE in 2016 with the “Agustin Recio Award” for being the ACAE member’s Outstanding University of Miami Graduate. The Association of Cuban American Engineers is proud to award Roxanne the José M. Amezaga Award. 2014 – Ing. Manuel Cereijo, D.Sc., P.E. 2012 – Ing. Ramon Ferrer, P.E. 2011 – Ing. Manuel G. Diaz, P.E. 2009 – Ing. Michael B. Acosta, P.E. 2007 – Ing. Luis E. Figueredo, P.E. 2006 – Ing. Jacinto Rodriguez, P.E. 2005 – Dr. Ing. Agustín Recio, P.E. 2004 – Ing. Antonio Choy, P.E. 2003 – Dra. Irma Becerra-Fernandez, P.E. 2002 – Ing. Horacio Perez, P.E. 2001 – Ing. Pedro O. Martinez, P.E. 2000 – Ing. Gonzalo J. Sanchez, P.E. 1998 – Ing. Ernesto J. Triay, P.E. 1997 – Ing. Amado J. Acosta, P.E. 1996 – Ing. Jorge L. Pardo, P.E. 1995 – Ing. William E. Pino, P.E. 1993 – Ing. Rodolfo R. Sánchez, P.E.